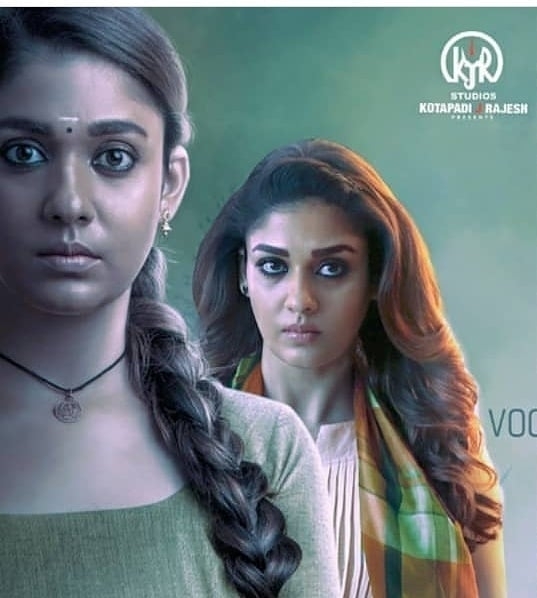 Airaa is a Tamil horror film that deviates from the typical comedic-horror we have been subjected to in most of the Tamil horror films of late. But it is not without a few major flaws. The movie is meant to be a serious horror with a deep and moving storyline at the heart of it, however it is executed quite poorly.The film begins with a police investigation at a seemingly-empty, staple horror-film bungalow in Pollachi, which we find out is haunted when the two policemen who enter end up being dragged by ghostly arms and thrown out into the rain. We are shown a silhouette of a woman standing near the window as the scene fades out.The story then moves to Chennai where we meet Yamuna, who writes in an AgonyAunt column for a newspaper. Bored with her job, and after having a fight with her parents when they try to arrange her marriage with a typical chauvinistic NRI guy without her consent, she moves to her grandmother’s (Kullapully Leela) house in Pollachi, which turns out to be the same bungalow shown at the start of the movie. The house is shared with her grandmother’s help, Mani(Yogi Babu), and a child, and a few comedic scenes ensue, wherein she comes up with a business idea to create a channel on Youtube where she hatches up fake horror stories and ghosts based off of the locals’ tales. Together with her grandmother and Mani, she recreates them as live scenes for her channel, quickly gaining popularity. There are jump scares, smoke effects, and flickering lights, all that is contained in a Horror Film 101.The scene lighting and set design is good enough to induce mild chills and set the stage for the story. Meanwhile, a series of seemingly unconnected deaths takes place in Chennai, where all of the victims are found to have been pushed to death from their terraces, all of them ending with a confusion. Kalaiarasan has a perplexed expression on throughout the first half of the movie, almost mirroring that of the audience until after the intermission. The audience is left hanging as to where the two parallel and incomplete plotlines actually intersect.In the second half, as all the pieces fall into place and start to make sense, we come to the heart of the story: Bhavani.Bhavani’s story is narrated by Amudhan and is moving, emotional and is meant to hold a mirror up to the audience to examine its own complicity. 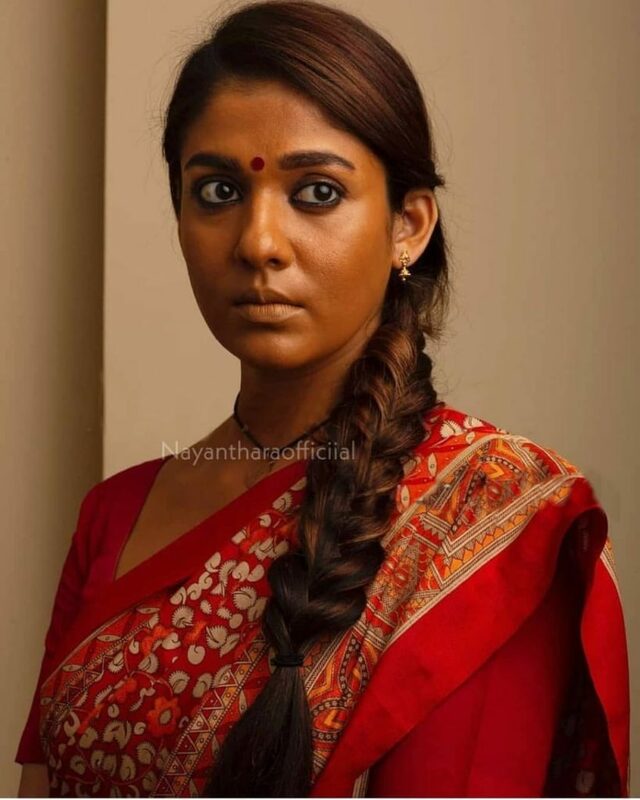 However, the actress who plays Bhavani, is replaced by a Nayanthara in blackface in later scenes. Initially, it seems quite bizarre, but it turns out this choice was for the sake of the climax, where Bhavani’s ghost/soul takes possession of Yamuna, and there is this duality between their bodies and inner selves. Regardless, whatever the reason may be donning blackface is unjustifiable, and it is reflective of a longstanding unquestioned practice in Indian cinema. It simply means that the role was robbed from another talented actress who is actually dark-skinned, and was most probably denied roles due to the very same. In Bhavani’s story, her dark complexion and perceived “unluckiness” are shown to be the reasons for which she is discriminated against, bullied and walked over by people. But her low social location, both financially and caste-wise, as compared to Yamuna, while implied, is not directly talked about or explored; the feminism in the film lacks the dynamic of caste, leaving it lacking.The bold dialogues at the end land as empty rhetoric. The nonsensical climax is a huge let down and truly does a disfavour to the film and the storyline, leading to a melodramatic ending.The movie drags on in a few places, and some of the sentimental scenes could really use some subtlety. 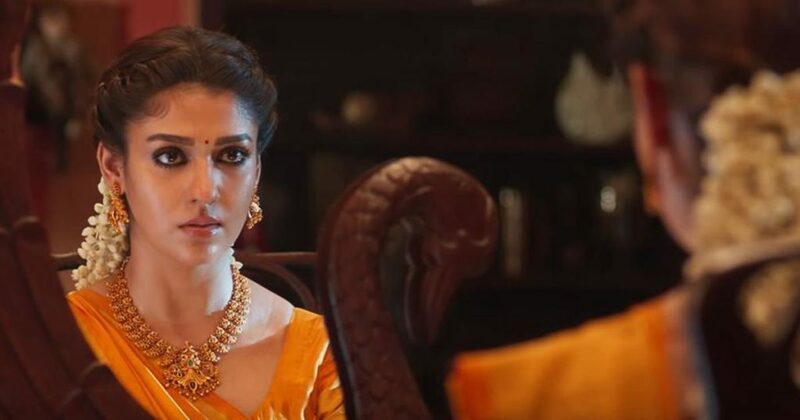 Kalaiarasan has given a good performance , and Nayanthara has performed well for the most part. The younger Bhavani and Amudhan have acted well and their scenes together are sweet, and even moving, at times. The cinematography and camera-work is particularly note-worthy and needs to be given credit for perhaps salvaging what is left of the film, and for keeping it engaging for the most part. The score and the songs add onto the positive aspects of the film, particularly the song Megathoodham, which is well written and performed, and beautifully shot.Airaa is neither a complete horror nor a tragedy; it simply tethers between the two while being too hesitant to delve into either; not knowing how to weave the storylines together as one. Written by : Divya Dharshini, First year, IT.